Homecoming week is upon us, and that means students, alumni and faculty will be gathering for various events including a parade, bonfire, pep rally and of course, the homecoming football game. EWU’s homecoming tradition traces all the way back to 1921, when the school was still known as Cheney State Normal School. The first homecoming at CSNS actually took place in February, before the school decided to follow the popular trend of associating homecoming with a football game. It wasn’t until 1924 that the events took place during football season. Across the country, homecoming events were intended to bring students and alumni together in order to improve school pride, while also creating more support for football teams. The first annual homecoming event was organized by a group of female students from Senior Hall. They organized an all-school dance, hosted a Spokane orchestra, put together a banquet dinner and performed a fire-lighting ceremony. Many students and alumni attended the men’s and women’s basketball games and put their school spirit on full display. The women’s team won the game with a score of 26-0, and the men’s game was protested and rescheduled for a later date due to a controversial discrepancy over the score of the game. 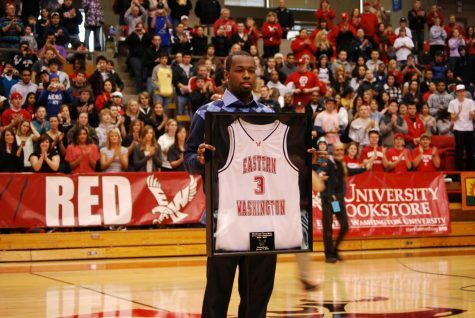 Over the years, many more events, like parades, bed races and pep rallies, were added to the EWU homecomings. Homecoming royalty recognition was eventually included in the tradition. Homecoming at EWU has been an ever-growing spectacle and continues to bring out school spirit across the entire community. Dylan Harris is The Easterner’s news editor. Harris, a senior studying journalism, plans to pursue a career as a news writer after college. The Easterner reserves the right to edit or delete hate speech, inflammatory statements or vulgarities in comments. The Easterner also reserves the right to delete advertising from comments.